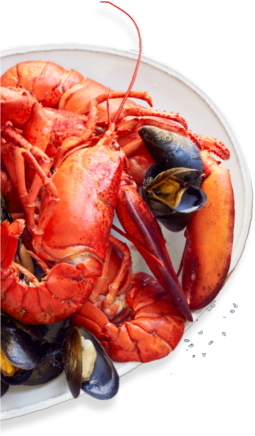 OCEANFLEET supplies excellent quality live seafood products and helps clients to store and manage operations with live seafood. We understand our clients‘needs for functional, easy manageable, aesthetically attractive and lowenergy- consuming live seafood storages. Therefore, we designed and realized the innovative live seafood storage – AQUARIUM “PORTABLE OCEAN” system (APO). The APO provides shellfish and/or live fish with a natural habitat, just like their native water areal. Live seafood can be kept, without modifying its qualities or taste, in a visually attractive manner. APO models are especially constructed to make the storage ideal for live shellfish/fish/seafood, without separation of the species within the APO, yet allowing all products to be kept under the best possible conditions. In addition, the APO is extremely efficient in terms of space and storage capacity, combines accurate technology with a posh, exclusive VIP appearance, so that it can reside in restaurants, hotels, pubs, retail outlets etc. It is a splendid addition to any interior, also adding value to your business when you can offer your clients a “hand-picked quality” seafood directly from the “ocean”. Our APO is a carefully developed system with a mechanical water filtration and implemented bio-filters that allow very precise water purification. UV-C lamps warrant a concise water degermination. Low-energy magnetic-priming water circulation pumps, refrigeration unit with corrosion free compressor and Titanium Exchanger, and microprocessor electronic thermostat complete the excellent technology of an APO. What are your requirements for live seafood storage? A small footprint? Quick installation without hassles, construction and piping works? Customized panelling design? OCEANFLEET offers a unique range of 4 options of APOs with customized panelling designs that would fit to your chosen position in a restaurant, bar, pub, retail outlet or warehouse. Individualised options of elements ‘combination are available as to meet your ideal requirements. The charts below represent 4 APO options. A couple or several APOs can be placed and installed together. A combination of your choice and for your convenience is available. For example, one wall of live seafood storages with different water temperatures that correspond to different water habitats (and thus various fish and shellfish species) can be constructed. This allows not only an impressive appearance, but also a bigger variety of seafood species in the offer. More APOs locating/positioning options are available, please contact our representative (see page contacts). Customized panelling designs are available (additional conditions apply), for more information contact our representative. The electronic/digital control is simple to operate and quite intuitive. All the parameters are clearly shown and easy to read on the displays. Advice by phone are available 24/7. The APO is constructed based on an ergonomic and wise space use system. Therefore, the following elements are not visible in the drawings: skimmer, UV system, pumps, temperature control sensor. They are located within the same compartment. EC Declaration of conformity (Food grade). OceanFleet offers all important accessories to make the operation of APO easy and convenient. For the details please contact our representative. 5 years for the main body; 2 years for aquarium; 1 year for all moving parts of main body, 1 year for all electrical equipment. We proudly deliver our APOs to any destination worldwide. Live products – please inspect on arrival. If there is a problem, inform OceanFleet customer support team and we will take product back and refund. Fresh products – please inspect on arrival. if there is a problem, inform OceanFleet customer support team and we will take product back and refund. Frozen – please inform within 48h of arrival if there is a problem, inform OceanFleet customer support team and we will arrange collection of the product and refund. Products can be delivered by third party delivery service providers. Expected delivery time is not a guarantee, and actual delivery time may vary. OceanFleet will not take any responsibility if the delivery has been attempted but failed - due to incorrect information (address/telephone number/etc) provided by the user, or user not being present at the address provided, or any other reason out of OceanFleet’s control. In case delivery has failed, OceanFleet will have right to cancel the order, refunding the value of the order less costs incurred (delivery fee, return fee, administrational charges, costs of product value loss, etc), but our customer support team will do their best to rearrange delivery if possible (additional costs might be applicable). Products will be delivered together with invoice. 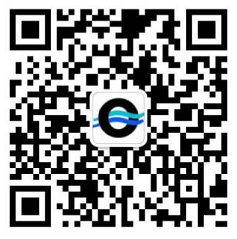 If VAT deductible invoice will be needed, please fill in the necessary details in “My Account” page, and contact OceanFleet customer support to make the request. Users’ information will be kept confidential unless required to be disclosed by the law. 2/F-X2 1#No.6369 Hutai Road Baoshan Dist. © 2019 OceanFleet 上海紫唐 All Rights Reserved. 上海紫唐贸易有限公司版权所有.